Family Guy is by far one of the most popular cartoons airing today, along The Simpsons. It has made Seth McFarlane a star, leading to two other TV shows and two movies. Seth McFarlane is certainly a talented man but at this point I feel that he is overreaching when it comes to his humor. His humor works sometimes but sometimes it’s just so grating that it ruins any other joke he just told. Million Ways to Die in the West had a funny concept but was so poorly executed that it is hard to find anything funny or humorous within the movie. In 1882, in the same town of Old Stump, Arizona, sheep farmer Albert Stark (Seth McFarlane) is dumped by his lovely girlfriend Louise (Amanda Seyfried). Desperate and alone, Albert seeks the help of his friends which fails entirely. One night, during a fight, Albert saves Anna (Charlize Theron) from certain danger. Telling her about his problem, Anna agrees to help Albert get back his girlfriend and prove that he is a bigger man than she thought he was. Meanwhile Anna’s husband Clinch Leatherwood (Liam Neeson) is making his way to town to reclaim Anna and escape with the money that he stole. Albert is the one that has to fend off Clinch and proves that he has changed. It is strange to see a comedy that takes place in a Western setting but when it happens it succeeds, like Blazing Saddles. Seth McFarlane’s second film failed to even achieve a similar level of comedy as Ted did and when you think of comedies that take place in the West it couldn’t even achieve any thing close to what Blazing Saddles so masterfully did. Seth McFarlane’s comedy usually involves cut away gags that really don’t affect the story or progress it, they are just there to get laughs. Family Guy does it all the time and sometime it works with the story and other times it feel like they are padding the runtime. 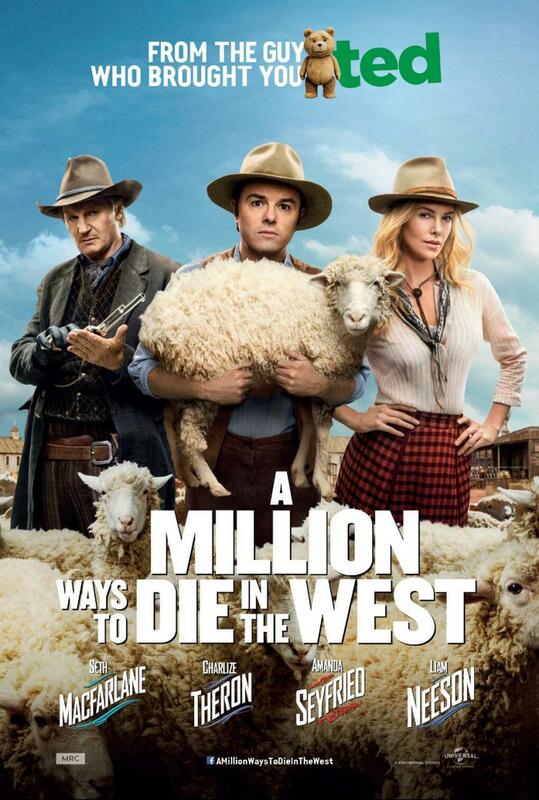 A Million Ways to Die in the West does the same thing and they are there only to pad an already bloated runtime. Running just shy of 2 hours it is already longer than it should have been. The content of the film should have only been around 80 minutes but it keeps going and going until you get to the showdown between Albert Stark and Foy (Neil Patrick Harris) and then you realize that you still have 40 minutes left of a movie that should have been over at this point. The run time isn’t the only problem, the acting ruins any kind of humor that was presented. I don’t think that Seth McFarlane can act, he does well with voices but emotions is a different story. Every delivery of his lines was really flat and bland. He brought nothing to the character and proved that he should stay behind the scenes. Only certain directors can achieve both acting and directing at the same time, it’s even harder when you’ve never acted before and only directed one other movie. Charlize Theron is able to provide some character development but even her acting feels stale and boring. Liam Neeson provides the typical archetypes that he is now known for but his limited screen time doesn’t do much with the material to have an impact. My biggest criticism of this movie is the story. It is called A Million Ways to Die in the West but never really embraces the premise. 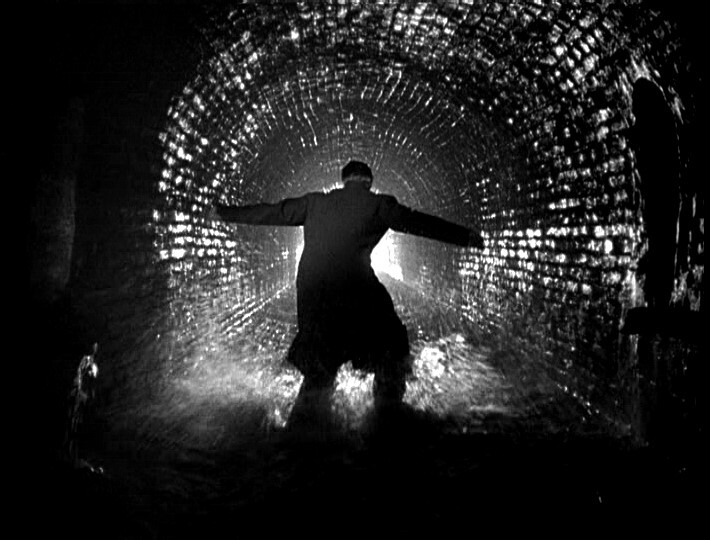 There are several intercuts of wacky deaths that occur during the movie but it always felt like a after thought. The actual story felt like a typical romantic comedy. It is all about the man getting his girl back . It follows similar cliches that your typical rom com follows. It never felts risky like I’ve gotten use to with McFarlane’s humor. It was a safe execution without any attempt to make something interesting or fun. It was boring to the point of hatred. I will say when there was a joke involving the core concept it was actually humorous but those jokes are downplayed towards the rest of the movie. I was hoping that Seth McFarlane would make something that was interesting and funny. 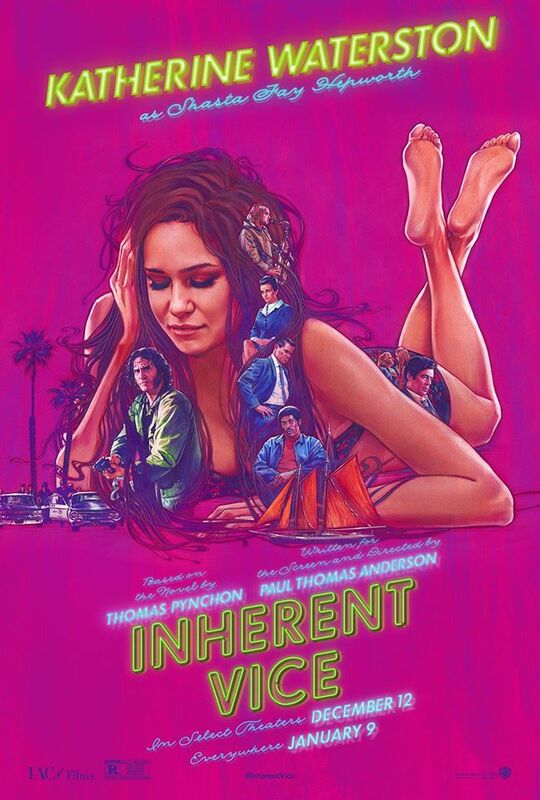 Never have I been so bored of a movie recently. Outside of the core concept there is nothing that makes this movie good. 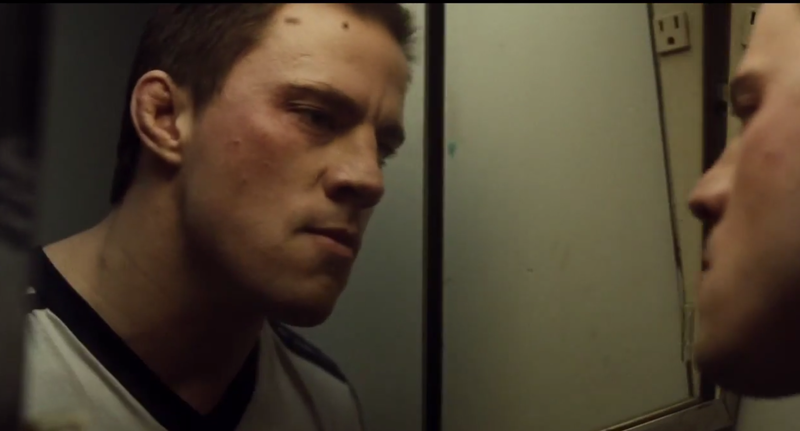 After watching the trailer for Foxcatcher recently and I noticed that Channing Tatum has become quite the actor. His performance in Foxcatcher looks to be his most intense role ever. I remember seeing him in Step Up, sadly saw that on TV, and thinking that he would never make it as an actor. My thoughts were solidified when I saw the first G.I. Joe Rise of Cobra. Until recently I never thought he’d he’d be able to drop the pretty boy model but when I saw 21 Jump Street back in 2012 I noticed that he has embraced his pretty boy mentality and then made fun of himself during the film. Then I saw Magic Mike, a movie he was passionate about, and noticed that he is becoming quite the young actor. The buzz surrounding Foxcatcher has painted his performance as Oscar worthy and the best role of his career. I’m quite shocked by the way that he matured as an actor and hoping that he keeps getting interesting roles.